The latest data released by the World Central Bank on Monday showed that Indians remain the biggest beneficiaries of funds forwarded by migrants around the world, capturing a total of $79 billion. Recipients from China scored the second-biggest share of the remittance pie, bagging $67 billion in 12 months, followed by Mexicans, who received $36 billion; Filipinos, who got $34 billion, and Egyptians who recorded $29 billion in external financing. 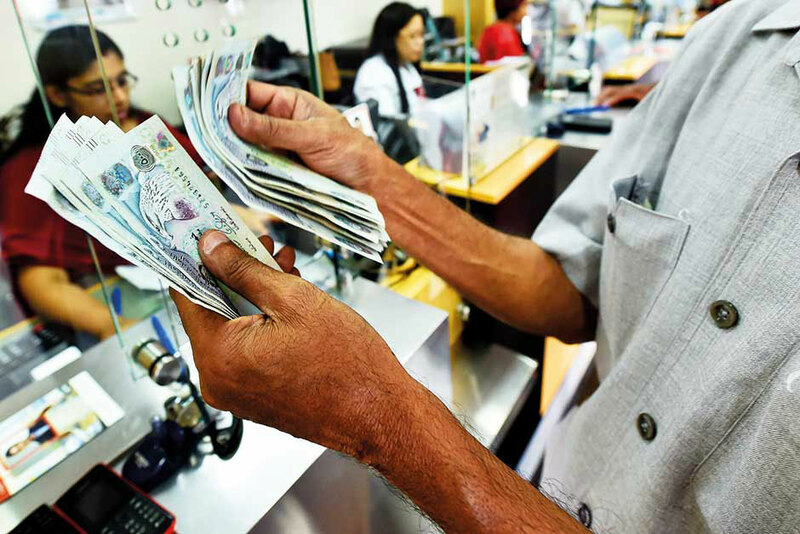 Filipinos and Indians, along with Pakistanis, are among the top-receiving countries for remittances from the UAE. According to the data collated by the UAE Central Bank, India received a total of Dh13.6 billion worth of cash sent through exchange houses and banks during the fourth quarter of 2018, while Pakistan got Dh3.8 billion and the Philippines Dh2.9 billion. Remittances are a major source of sustenance for beneficiaries. They’re primarily used to pay the household bills, including rent, medicines and school fees of migrant workers’ families. A portion of the funds are also utilized in investments, debt repayments and big-ticket purchases, as well as in social, food, leisure activities and entertainment, thus boosting the economic growth of receiving countries. The whole South Asian region received 12 per cent more in remittances last year, bagging a total of $131 billion. “The upsurge was driven by stronger economic conditions in the United States and a pick-up in oil prices, which had a positive impact on outward remittances from some GCC (Gulf Cooperation Council) countries,” the World Bank said. Money flows to the East Asia and Pacific region grew nearly seven per cent to $143 billion. However, remittances to the Philippines grew slower, as private transfers from expatriates in the GCC had dropped, while Indonesians saw a huge leap in remitted funds, up by 25 per cent in 2018, following a muted performance in 2017. Egypt also saw a significant increase in remittance growth, at 17 per cent, and this helped boost the total value of funds landing in the Middle East and North Africa, which posted a nine per cent growth to hit $62 billion.